Thanks to the shrink-wrapping machine, your products can be protected and watertight. This system is comprised of an automatic Shrink-hooder and an oven that shrinks the film at 280ºC, letting it fully adhere to the load. Shrink-wrapping fully adapts to the contours and shape of the pallet as the film contracts upon the application of heat. In the shrinking oven, the load becomes fully protected and watertight against external factors such as rain, moisture, dust, and UV rays. The shrink wrap fully adapts to the load, making it ideal for packaging a diverse array of shapes and sizes, as is the case with order picking and logistics. 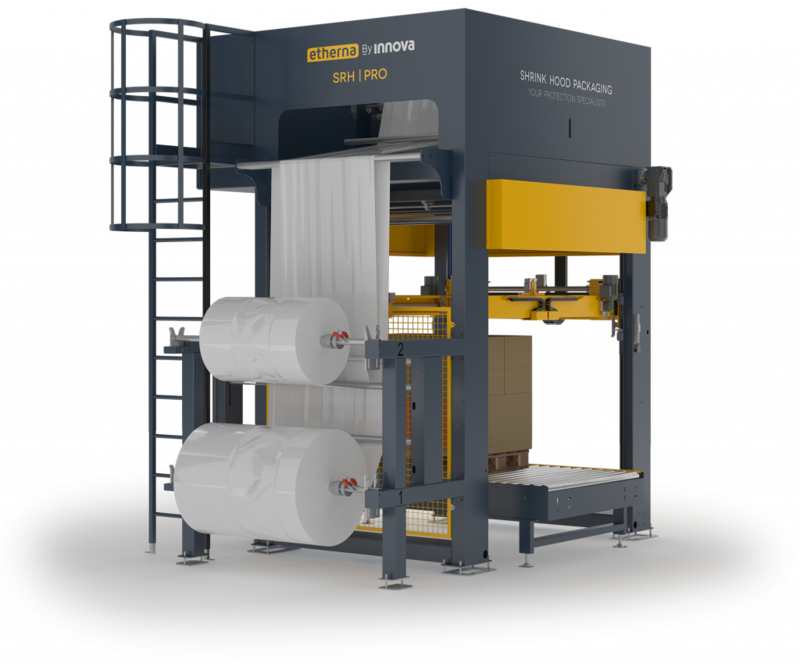 Heat-shrinking allows various pallet sizes to be hooded automatically, with the option to include up to 3 reels in order to configure the machine for different sizes. 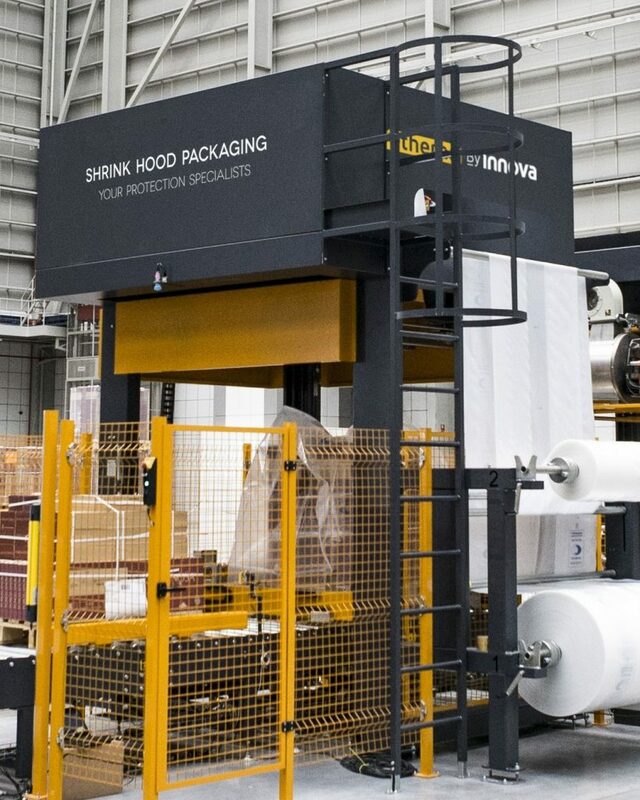 The shrink-hood system also lets you automate and optimize production by packaging up to 60 pallets/hour. Which packaging system should I choose?